Omali Lodge was the first place we stayed at during our destination visit of the tiny African country of São Tomé and Príncipe. In fact, it was our first hotel experience in Africa, and on top of that, our first visit of the continent. Omali Lodge is the second hotel in Africa to be awarded the Biosphere Responsible Tourism certification, which makes it a regional leader in sustainability. 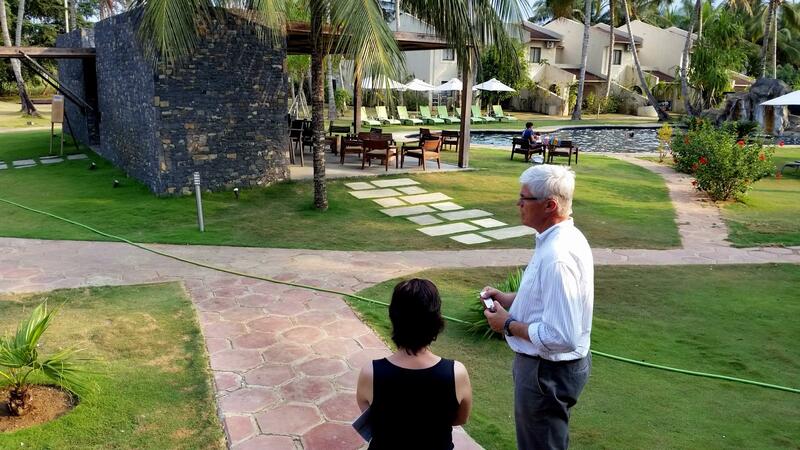 Our host at Omali Lodge, the hotel’s general manager José Miguel Ferreira Mendes, is a former teacher and strong believer in education, and during our stay shared with us insights into the hotel’s operations and its green features. 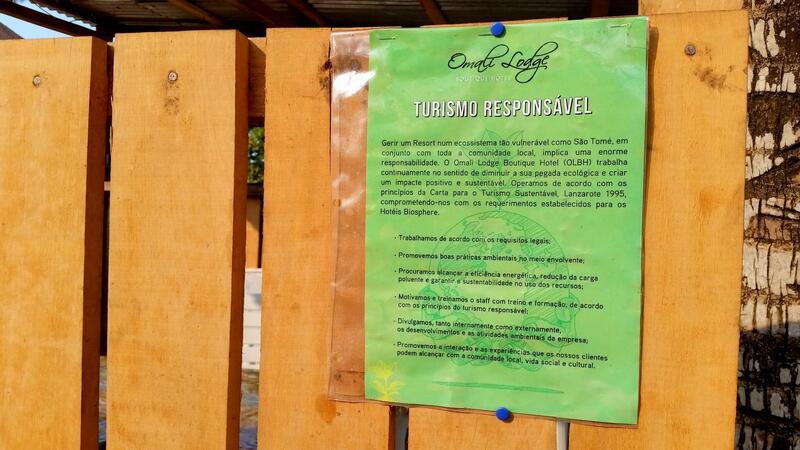 Unlike Príncipe Island, the city of São Tomé doesn’t breathe commitment to environmental or social best practice, which makes Omali Lodge a pioneer and responsible tourism haven en route to Príncipe. The main challenges of running a hotel sustainability on a remote African island. José, what makes Omali Lodge a sustainable hotel? The Omali Lodge management policies have been governed by the Biosphere Responsible Tourism standards, a certification which recognizes and certifies sustainable practices in the hospitality industry. Our management policy contains specific criteria on environmental, cultural and socioeconomic performance of the hotel, aimed at contributing to the sustainable and responsible development of São Tomé and Príncipe as a tourist destination. Which sustainability initiative at Omali Lodge are you particularly proud of? The involvement of local craftsmen and artists in the hotel’s recent refit resulted in a unique and emblematic space which reflects the culture and traditions of the country. Our menu includes national specialties and a new twist to well-known dishes, using almost exclusively local products in their preparation. Omali Lodge’s menu demonstrates that local products can be an asset in a hotel operation of high quality. We have been able to show that on an island like São Tomé it is possible to achieve a high level of excellence in hospitality by collaborating with local producers and thinking responsibly, thus contributing to a balanced economy. Another factor is that by providing adequate training to all the local staff, we are contributing to their empowerment and show how to make a low impact on the island’s fragile natural environment. We help them act as sustainability leaders within their community. 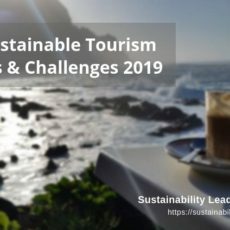 Which are the main challenges regarding sustainability at Omali Lodge? The fact that we are part of a few that are seriously committed to a sustainable and responsible hotel operation. 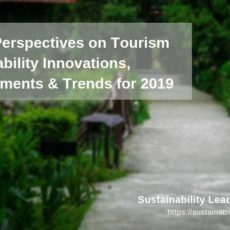 Managing a hotel whose social and environmental environment is still not consistent with the reality of the rest of the industry hampers the path of sustainable development. Learn more about Omali Lodge on the hotel website or visit Omali Lodge on Facebook. 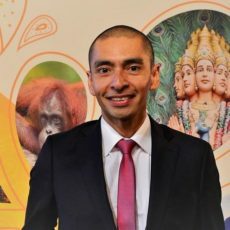 Enjoyed our interview with José Miguel Ferreira Mendes on sustainability at Omali Lodge in São Tomé and Príncipe, Africa? Share and spread the word!